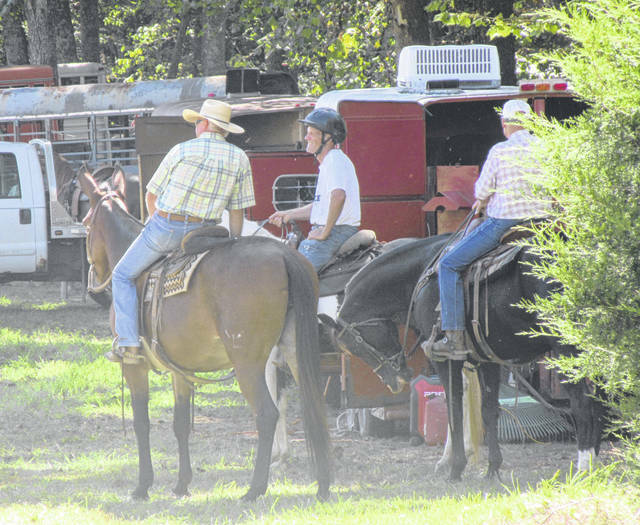 Horses and riders headed out on the trail Saturday for the annual St. Jude Trail Ride at the Dill Farm. RUTLAND TWP. — Nearly 150 people gathered near Rutland this weekend to raise money for St. Jude Children’s Research Hospital. The 23rd annual St. Jude Trail Ride at the Dill Farm raised $15,229.50, and counting, for St. Jude through the donations of riders, raffle items and a 50-50 drawing. Money can be turned in for a few more weeks so the total is expected to increase. Mike and Isabel Dill, along with family and friends, have hosted the event the third Saturday in September for more than two decades raising more than $285,000 for St. Jude. “We had a wonderful day, just a little hot, but we all made it,” said Isabel Dill of the ride on Saturday. While temperatures were in the upper 80s, the rain which had been a concern earlier in the week stayed away for the event. 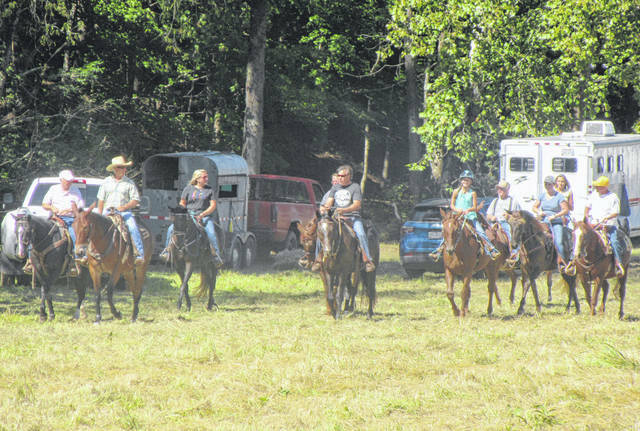 The riders began the 10-mile trail ride at noon, making their way over hills and through the woods in Rutland Township. A total of 145 riders and volunteers took part in the event. Following the ride, participants were treated to a hog roast, along with other foods. The hogs were purchased at the Meigs County Fair Livestock Sale by Farmers Bank and Home National Bank and donated for the event. The ride is put on through donations from local businesses. The top 3 money collectors were Debbie Lewis of Mason, W.Va., Jerry Smathers of Athens, Ohio, and Pat Vaughan of Pomeroy, Ohio. Raffle items and door prizes for the event included a Saddle Stand, Billy Cook Breast Strap, Bartee Photography session, Mountain Bike, wooden chest cooler, and any other items. 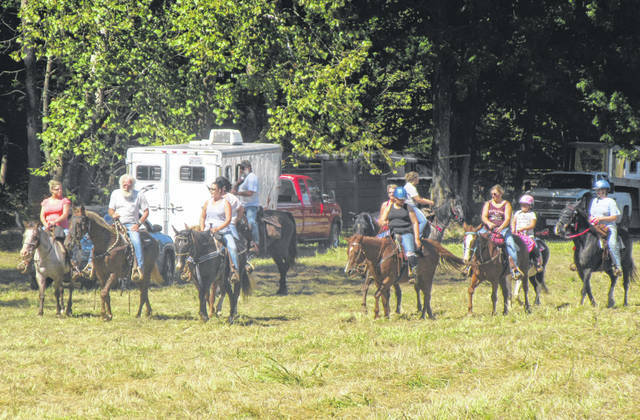 https://www.mydailytribune.com/wp-content/uploads/sites/42/2018/09/web1_9.20-Trail-Ride-1_ne20189191381219.jpgHorses and riders headed out on the trail Saturday for the annual St. Jude Trail Ride at the Dill Farm. 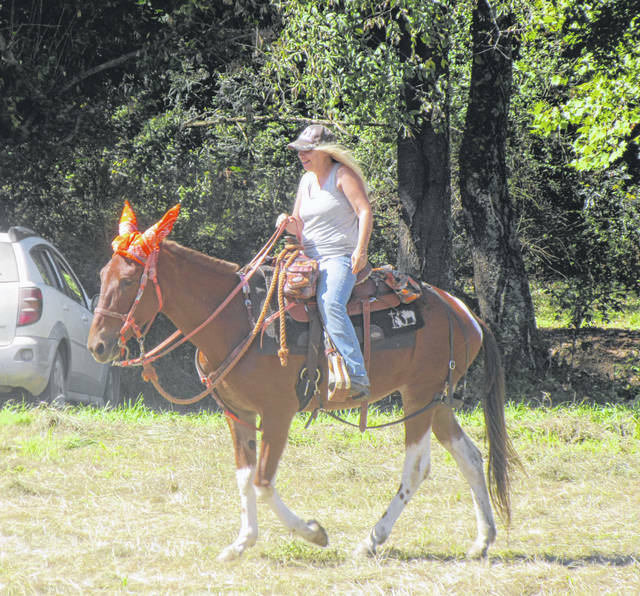 https://www.mydailytribune.com/wp-content/uploads/sites/42/2018/09/web1_9.20-Trail-Ride-2_ne201891913826221.jpgHorses and riders headed out on the trail Saturday for the annual St. Jude Trail Ride at the Dill Farm. https://www.mydailytribune.com/wp-content/uploads/sites/42/2018/09/web1_9.20-Trail-Ride-3_ne201891913834847.jpgHorses and riders headed out on the trail Saturday for the annual St. Jude Trail Ride at the Dill Farm. https://www.mydailytribune.com/wp-content/uploads/sites/42/2018/09/web1_9.20-Trail-Ride-4_ne20189191384635.jpgHorses and riders headed out on the trail Saturday for the annual St. Jude Trail Ride at the Dill Farm. 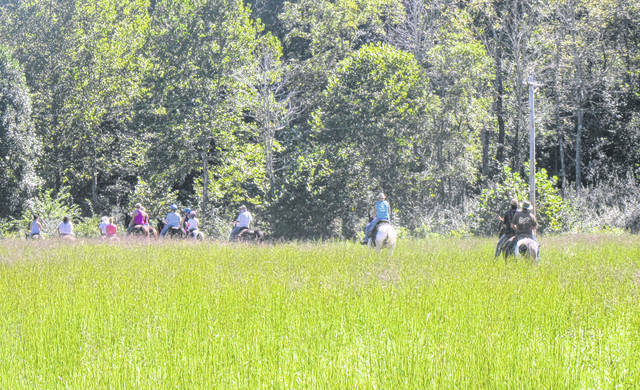 https://www.mydailytribune.com/wp-content/uploads/sites/42/2018/09/web1_9.20-Trail-Ride-5_ne201891913854230.jpgHorses and riders headed out on the trail Saturday for the annual St. Jude Trail Ride at the Dill Farm. 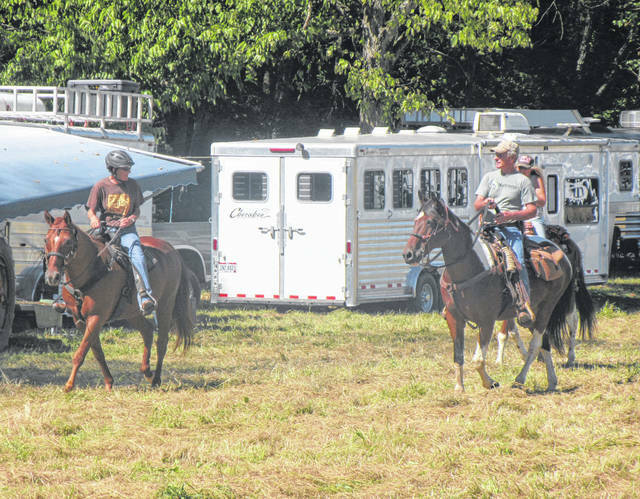 https://www.mydailytribune.com/wp-content/uploads/sites/42/2018/09/web1_9.20-Trail-Ride-6_ne20189191396528.jpgHorses and riders headed out on the trail Saturday for the annual St. Jude Trail Ride at the Dill Farm.